It’s a top cities list that no city wants to be on – the top 10 U.S. cities with the worst traffic delays. Washington, D.C., heads the list, followed by Los Angeles and San Francisco, according to The Washington Post. The rankings are from the 2012 Annual Urban Mobility Report by the Texas A&M Transportation Institute. 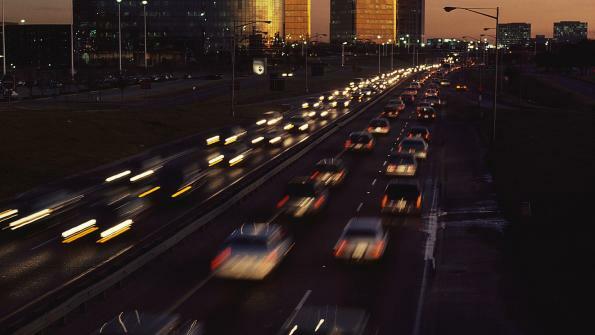 It examined traffic problems in 498 U.S. urban areas. The report found, predictably, that the most traffic congested cities tend to be repeat performers from previous years, like Los Angeles, Houston and Atlanta. Researchers for the report suggest ways that cities can address traffic congestion problems. The report measured traffic delays, the amount of time on the road wasted per motorist each year. The total annual financial cost of that traffic congestion is estimated at about $121 billion, translating to about $818 per U.S. commuter. Commuters suffer the worst in Washington, D.C. Drivers in the nation’s capital waste a whopping 67 hours annually stuck in traffic, according to the report.